Besides the humanitarian crisis and economic losses there one aspect of Hurricane Maria that just a few have written or talked about. Maria has changed the employee/employer relation and will change the job market for employers and professionals in Puerto Rico significantly. 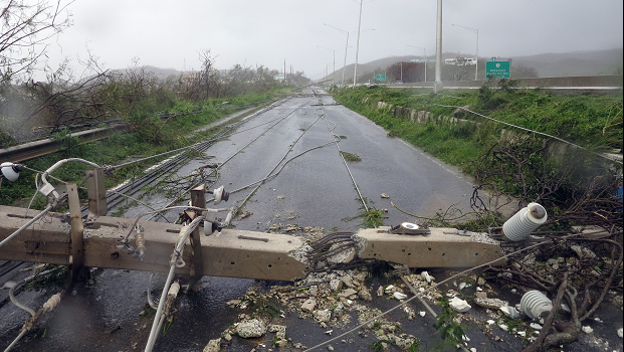 Hurricane week: Many companies started to run their generators just a few days after the hurricane thinking that they would be back to normal operations. Some companies posted we “will re-open on Friday”, others “next Monday”. Some even expected most employees to show to work. Larger companies tried to use their power and influence to negotiate exclusive gas stations lines for their employees but it did not work out. Second week: Generators fuel ran out, others failed to function anymore. Some companies were able to relocate quick but depended on information to be provided by clients that had no communication. Employees needed time to make long gas stations lines. Larger employers tried to negotiate exclusive gas stations lines but it did not work out. Third week: Companies insisted that operations could be normalized in a reasonable time, but employees had to decide between going to work or making lines to obtain essentials to survive. Some companies offered benefits such as creating temporary day cares, offering free lunches, letting employees use the company facilities to take care of personal matters and some even providing free supplies to employees ranging from water, batteries, cash, nonelectrical water filters, to calls from satellite phones, relocation and power generators. Fourth week – Many companies decided to officially announce layoffs, some were temporary layoffs and others permanent. As companies perform layoffs the job market has changed in the short term significantly for candidates and employers. There are more accounting professionals looking for work than before María due to the layoffs. This may represent an opportunity for executives that have a long term view since talent may be hired by employers with less efforts and costs. We expect this to be a short-term opportunity for hiring as year end is near and many companies will need back their accountants. At the same time thousands of professionals including accountants are moving out of Puerto Rico and will not be available anymore. As the year end requiring closing of books and the Busy Season is just a few months away we expect the job market will change drastically in favor of accounting professionals' candidates and employees back again. Layoff employees' have already started to move in the thousands to the United States, including many accountants. This information is confirmed not just by our experience at Busy Season Staffing Solutions but with others we have spoken in the staffing industry confirming the massive exodus of talent. As thousands of professionals move to the mainland after María, Year End Closing and Busy Season starts, we expect the next years to be the most difficult for employer to recruit accounting professionals with the right skills and experience. The migration to the United States will continue to be significantly higher than before María. My mainland sources (Accounting professionals in Florida and Texas) state that accountants will not have any problem finding well-paying jobs with benefits, some companies in the mainland are even willing to pay thousands for relocation and assist Puerto Rico accounting professionals in their moving to states like Florida. This is in line with reports by the AICPA and CGMA which states that recruiting accounting professionals is the number 1 issue for both private industry and accounting firms in the mainland. Employers that want to balance the uncertainty placed by María, liquidity and budget needs with long term business continuation needs may recruit talent establishing a long term starting date to the recruited professional even if he/she will start as temporary. It is a way of taking advantage of a short term opportunity, while securing that you will have the talent when needed.